In this seven-level course you will expand your intuition and your spiritual awareness. Automatic Writing can be the most accessible way for any person to become their own conduit to that which guides them. 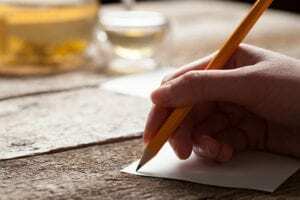 Automatic Writing can provide a pathway to communicate with the other side along with connecting with past lives. With cultivation of this technique, you can access guidance whenever you wish. You will learn to connect with your Guides, Angels, Ascended Masters and Loved Ones as you facilitate Automatic Writing for yourself and others. Yes, you can do it! Completion of all seven levels and homework is required to receive certification. Begins Monday, Feb. 25, 2019! Pay online: go to paypal.me/angeldawnmarie and type in the amount. Or bring cash or check at the door. Dawn Marie puts her passion and love into all that she touches. Dawn Marie’s Automatic Writing class was amazing and inspiring to say the least. Dawn Marie urges you to tap into all that is and your deepest potential. The meditations are like peeling the layers of an onion… deeper and deeper each time with new insight each time. Just being around Dawn Marie is euphoric! New Classes for 2019 TBA! In this advanced seven-level course you will continue the journey in our spiritual awareness and intuitive development through writing. We will continue to learn to receive divine insight and write. We will go on a shamanic journey and connecting with our totem and power animals. This will give us more power and strength to move forward in our writing. We will focus on the type of writings we would like to do; such as song writing, poetry and the book that is inside you. We will also be Channeling and Writing with our favorite singers/writers/authors/mediums that are on the other side for guidance and inspiration. This will give us the steps and tools you will need to “act” now. We will embrace and allow a stronger connection with spirit, as we practice trans-channeling. Last but not least, we will be connecting and writing with the Cosmic Heart as we raise our vibrational level and embrace the power of the Universe that is here to assist us on this journey. This course will assist you in taking your spiritual development and writing to the next level. It’s time to let your light shine!!! Automatic Writing is defined as the process, or product of, writing material that does not come from the conscious thoughts of the writer. The writer’s hand forms the message, and the person is unaware of what will be written. It is sometimes done in a “trance state.” Other times, the writer is aware of their surroundings, but does not control the flow of the words produced by their hand. This form of writing is more common that the “trance-state” form, and is similar to taking dictation. The writer is relaxed, does not determine the content of the writing, and writes only what they hear—exactly as they hear it. Automatic Writing—more commonly called “Automatic Dictation—is a tool used in Freudian psychology, and in related “self knowledge” studies, where it is seen as as means of gaining insight into the mind of the writer through their subconscious word choices. It was primarily used by Pierre Janet in France, and later by Morton Prince and Anita Muhl, in the United States.